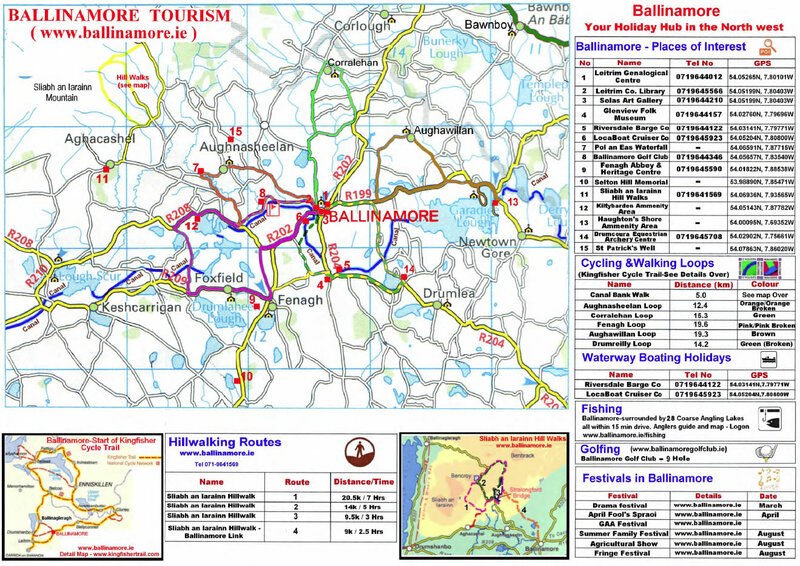 Walk around the beautiful town of Ballinamore, which meanders alongside the beautiful Blueway on the Shannon-Erne Waterway. 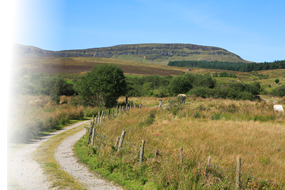 The Ballinamore Looped​ Walking Trail meanders alongside the tranquil waters of the Shannon-Erne, with the picturesque​​ village of Ballinamore at the centre. 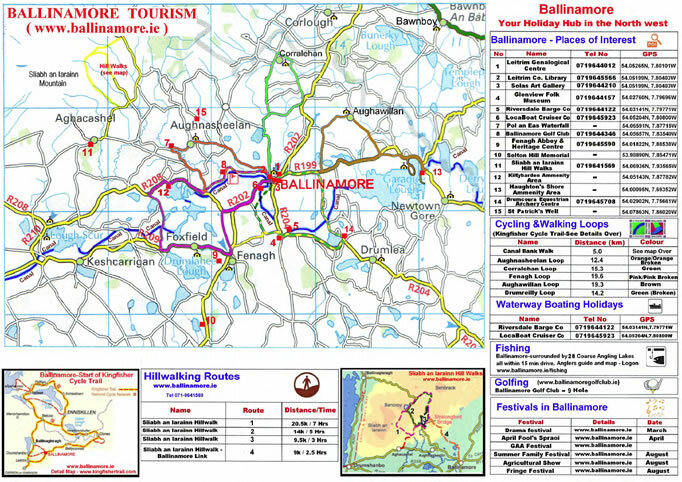 This 4.5km looped trail starts at Ballinamore Marina before looping around at Longstones and back to the beautiful town of Ballinamore. 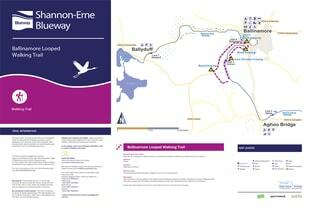 The Ballinamore looped Walking Trail is available at Ballinamore Tourism Centre High Street.